Let’s talk about something that is not only important to your goals as they relate to health and fitness, but also in life….commitment. We all know what commitment means, right? Maybe we should just review the definition as it seems we, as a whole, may have kinda-sorta forgotten. “You karate do ‘guess so,’ *squish*, just like grape.” Commitment, Daniel-San. Without it, Johnny will, undoubtedly, be putting you in that body bag sooner or later. 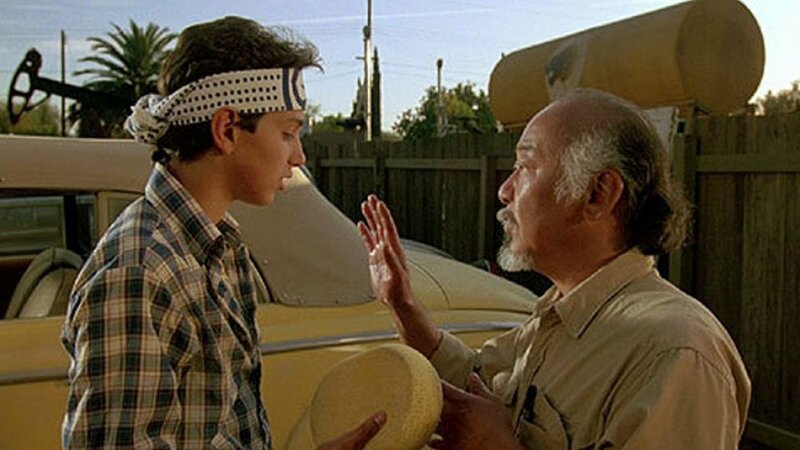 Since this particular scenario relates to Mr. Miyagi teaching karate, we can pretty obviously see the connection to what we “teach” at 212- health and fitness. We are the Miyagis (not quite as awesome, of course) and you are the Daniel-Sans. You come to us, express what you want to accomplish, and it is our job to give you the tools to help you reach those goals. When you want something, set goals for yourself, and say out loud, “YES, this is what I want to accomplish,” you have to be ready to commit to that. Speaking the words is not enough. You have to be ready to commit to the process of what it is going to take to get you there. For us, your commitment is a part of the transaction. You took the steps of 1- Identifying the goals, and 2- Seeking out the professional help you need to reach them. Unfortunately, the process does not stop there. That is not enough. Step 3 is committing to yourself and to the journey so you do not fail (get *squished*). Commitment is supremely important to this process for a couple of reasons. First, your commitment to your goals is going to act as the angel on your shoulder on a regular basis. It is going to help you make the best decisions to keep you focused and on track. Secondly, being committed to the outcome will help you overcome the inevitable obstacles you will face on your journey. You will slip and fall. However, when you commit, you will not quit. On a more general level this lesson is very relative beyond the world of health and fitness. Anytime we set goals whether they are financial, career-related, relationship-related, or whatever other goals you can think of, if we “guess so” our commitment to achieving them, we are most certainly NOT going to. As they say, "a half a$$ effort will yield a half a$$ result." There are few things worse to our personal morale and spirit than failing to accomplish something we set for ourselves…I mean, we decided we wanted it, we have no one to blame but ourselves. It’s a crappy feeling and one that can leave a little shadow over our desire to continue setting goals…who wants to keep failing themselves? Not me. When we commit and, thus, achieve, we will be driven to continue wanting to commit and achieve…reaching goals is empowering and addicting! We will be inspired to reach higher and accomplish more. We can take this lesson to yet another, more abstract place. “Walk right side, safe. Walk left side, safe. Walk middle, sooner or later, *squish*, just like grape.” When we live a life of uncertainty in our attitudes, principles and personal beliefs, we leave ourselves open for influence that can lead us astray from who we really are. This is not to say that we should not have open minds about the world, that’s not what I mean. What I mean is our integrity, our knowledge of our personal right and wrong. If we are not able to confidently identify who we are, what we believe, and live our lives in accordance to that set of values, we will sooner or later get...*squished*… just like grape.